Disclosure: I received this product sample at a discounted price in exchange for my honest and unbiased review, All opinions are mines and no monetary compensation was received for my review. This multi tool box has clip on hinges that snap and clip on to secure the toolbox and the handle is also plastic and sturdy! This is not your metal toolbox keep in mind but it does great duty when it comes to storing and keeping things organized, in place at a reasonable price. Looking for a last minute Fathers day gift? 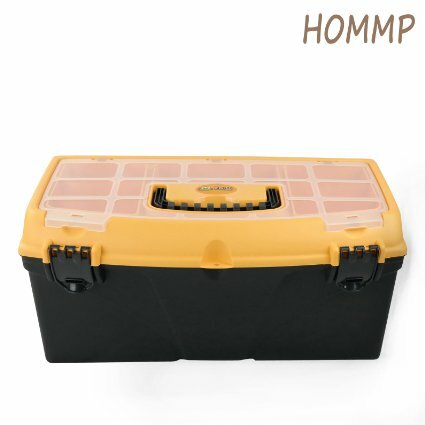 head on to HOMMP storefront at amazon to purchase this neat multi-tool box.